Ho Chi Minh is one of the towering figures of the twentieth century, considered an icon and father of the nation by many Vietnamese. 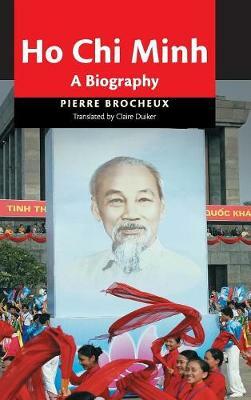 Pierre Brocheux's biography of Ho Chi Minh is a brilliant feat of historical engineering. In a concise and highly readable account, he negotiates the many twists and turns of Ho Chi Minh's life and his multiple identities, from impoverished beginnings as a communist revolutionary to his founding of the Indochina Communist Party and the League for the Independence of Vietnam and ultimately to his leadership of the Democratic Republic of Vietnam and his death in 1969. Biographical events are adroitly placed within the broader historical canvas of colonization, decolonization, communism war, and nation building. Brocheux's vivid and convincing portrait of Ho Chi Minh goes further than any previous biography in explaining both the myth and the man, as well as the times in which he was situated.